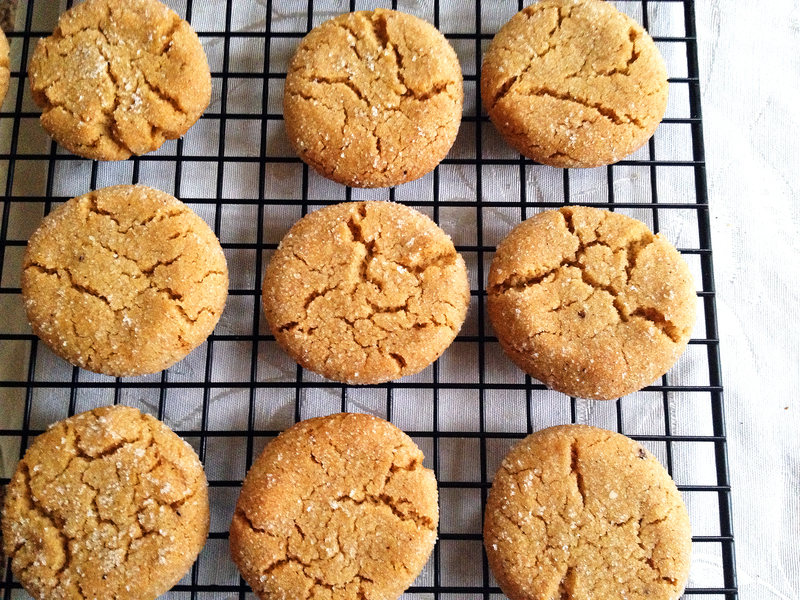 Honey Gingersnap Cookies are a dairy-free cookie recipe I’m transferring over from my old blog page. They are SO GOOD. Plus, no waiting for butter to soften, because there is no butter – oil is used instead. This helps the cookies have a nice crunch on the outside and stay soft on the inside. Cookie perfection! In 2013 when I came up with this recipe, I joined the Third Annual Great Food Blogger Cookie Swap! I’d never done something like this before and loved it. What is a cookie swap? Well, a bunch of people bake cookies, send them to other people, and everybody donates money to Cookies For Kids Cancer. It’s a win/win/win ending in cookies! How could I not be a part of that? Over $14,000 was raised the year I participated. Before I get to the recipe, thanks to my fellow bloggers who sent me cookies! These were delicious and I definitely recommend checking out their blogs and recipes. One of my favorite recipe books is a short collection of cookie recipes by Better Homes & Gardens that I’ve had for longer than I can remember. I love opening it up and staring at the photos. I also just love smelling the book. It smells like butter, flour, and love. One of those photos was the inspiration for this recipe – the photo turned out to be a completely different recipe, but it guided me to what I wanted! My cookie choice had to be something new to me, and you all know how much I love new recipes. I wanted something to represent Utah, which is the Beehive State, so honey cookies were the obvious choice. I hunted for the perfect recipe that would be crunchy outside, soft inside but not cake-like, and come out beautiful. 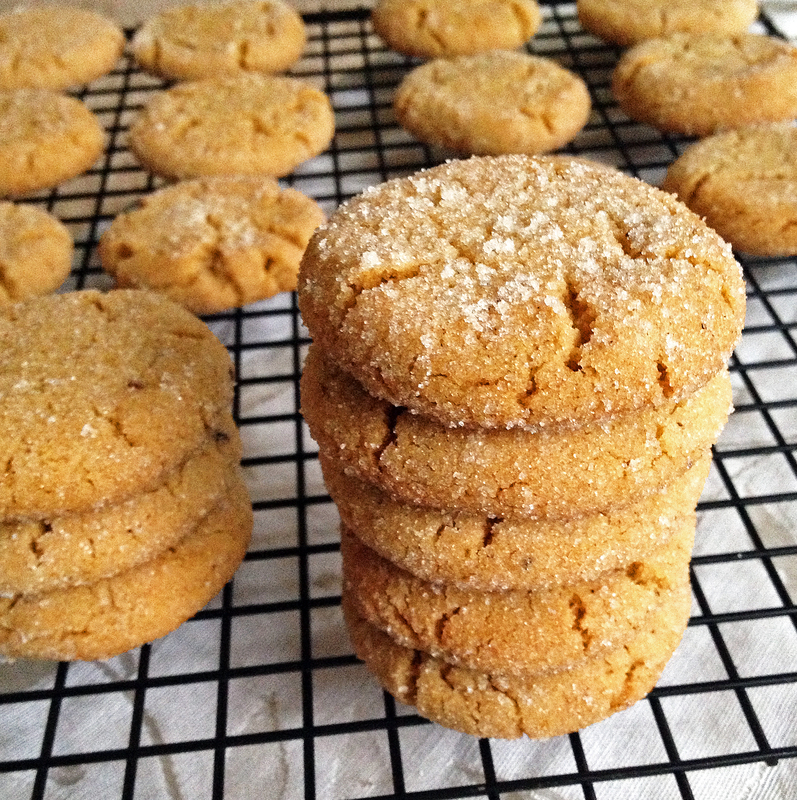 What I really wanted was gingersnaps but with honey… then it dawned on me that I ought to make gingersnaps, with honey. Sometimes answers are so simple if we are quiet and listen to the universe. These cookies are soft inside, crispy outside, and absolute perfection with a glass of cold milk or hot coffee. Rolling them in sugar is what gives them the pretty texture This is a basic gingersnap recipe with honey in place of the molasses. They disappear quickly so you might want to double the batch. Also thanks to OXO, a sponsor of the cookie swap, who sent me bright colorful silicone spatulas that have been a great addition to my kitchen. In a large mixing bowl, mix together the brown sugar, oil, honey, and egg. Preheat oven to 375 and prepare cookie sheet (cover in aluminum foil or parchment paper to prevent sticking). Using a Tablespoon as a scoop and leveling off each one, make a pile of little ball-ish shapes. Roll each of the little shapes into a ball. Roll in granulated sugar, place on a cookie sheet, and flatten slightly. Give each cookie a bit of space, they spread out some. A dozen at a time in the oven works well. Bake for 11 minutes. Cool on cookie sheet for 1-2 minutes then move to baking rack to finish cooling. This entry was posted in Desserts and tagged beginner-friendly, dairy-free, dessert.